Samsung’s new Galaxy S10, S10 Plus, and S10E have many new advancements, but the biggest change to their designs compared to last year’s models is the new hole-punch display. 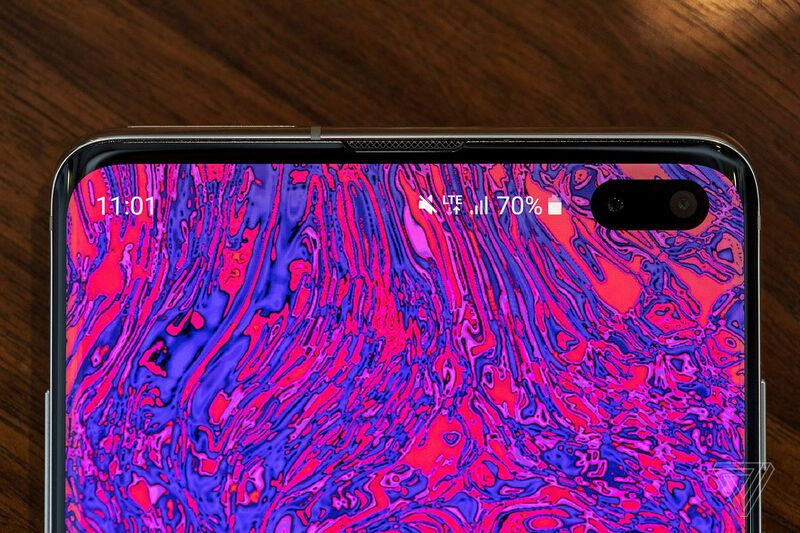 In the hole punch cutout, which is round on the S10 and S10E and oval on the S10 Plus, is the front-facing camera system. This allows for a larger screen, while side-stepping the notch design that is so controversial. It also allows for some fun wallpapers. Since the announcement of the phones, there have been various wallpaper designs floating around the internet, turning the S10’s hole punch into R2D2’s single eye or the S10 Plus’ into Johnny 5’s double lens face. Other designs have the ball of Jordan’s Jumpman logo placed strategically over the cutout, or Futurama character Bender’s face occupying the space. Most of them are quite fun. Unsurprisingly, there’s now a subreddit for the wallpapers, as reported by Android Police. It’s a nice repository of the wallpapers so you can go find your favorites, if you’ve got an S10 in hand. Perhaps Samsung should embrace these designs and throw some licensing money at Disney and other companies to make official versions, but the community-created ones will work nicely in the meantime.